The base variant could lack the features like rain sensing wipers, automatic headlamps and multimedia touchscreen. The major reason for developing a new low end variant is the dropping sales every month of XUV 5OO. 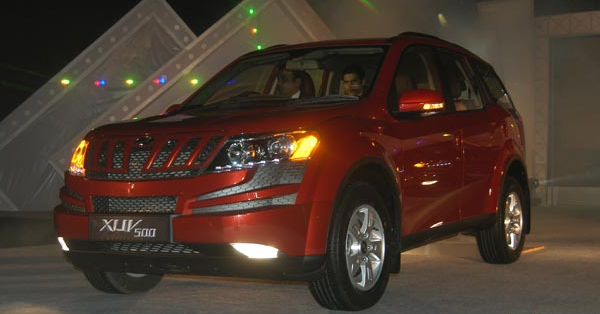 The XUV had always been a good number gatherer for Mahindra and continuously did apprx 3,500+ units every month. Infact the carmaker sold 50,000 units in just 16 months. The sales last month have dropped to just 2,200 + units and this has caused a lot of concern for the home grown carmaker. With dropping sales of Quanto, Xylo and Verito, the carmaker needs to be cautious for the current year and hence is developing new products. The base variant of XUV 5OO could compete with the likes of Renault Duster and Tata Safari. Stay tuned for more updates on Base variant of XUV 5OO.